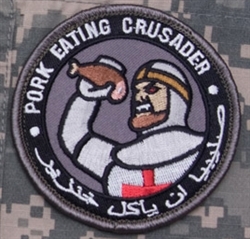 For the pork eater on a mission. English text on top, translated Arabic on the bottom. Hook fastener sewn on the back.